Thousands of People Involved in Theatre Are Now Aware of Flin Flon. The owners of the Big Island Drive In Theatre Dawn and Dan Hlady attended a Cinemacon conference in Las Vegas last week. Dawn says on opening night they were acknowledged for their little Drive In Theatre among theatre owners, movie producers, film writers and actors. She explains on opening night they got a big shout out from the manager of Cinemacon who put Flin Flon up on the screen at the Coliseum at Caesar’s Palace so there’s about five thousand people who are now aware of where Flin Flon is way up in northern Canada where that little Drive In starts movies at 11 o’clock at night so our situation is quite different from a lot of other attendees that were there. 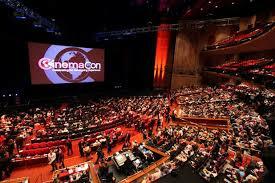 Cinemacon is sponsored by the National Association of Theatre Owners. You can hear more on the event tomorrow morning at 8:30 with Raphael Saray.